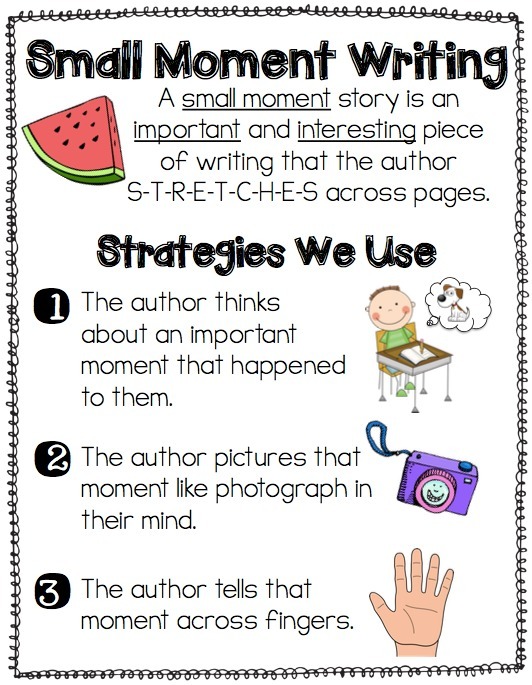 This year we will explore narrative writing and expository writing. If there is time, we will begin opinion writing towards the end of the year. 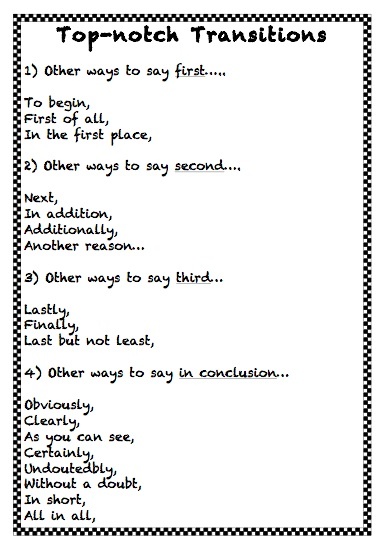 Narrative writing includes a beginning, middle and end. This year we will learn how to develop each of these areas. In addition, we will be expected to plan out our stories using a mind map, or planning device, use strong language, and demonstrate knowledge of story elements such as setting, characters, plot, and problem/solution. 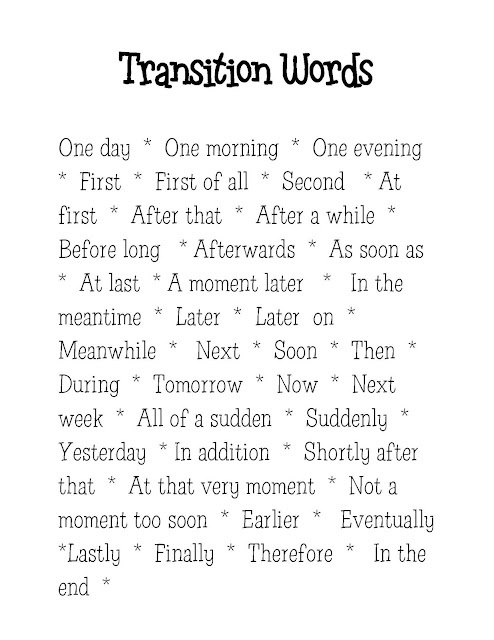 Below you will find helpful transition words. Expository writing includes ideas with details. As writers it can be difficult to pick a writing topic. As a class, and independently, we will brainstorm writing topics to get the ball rolling. 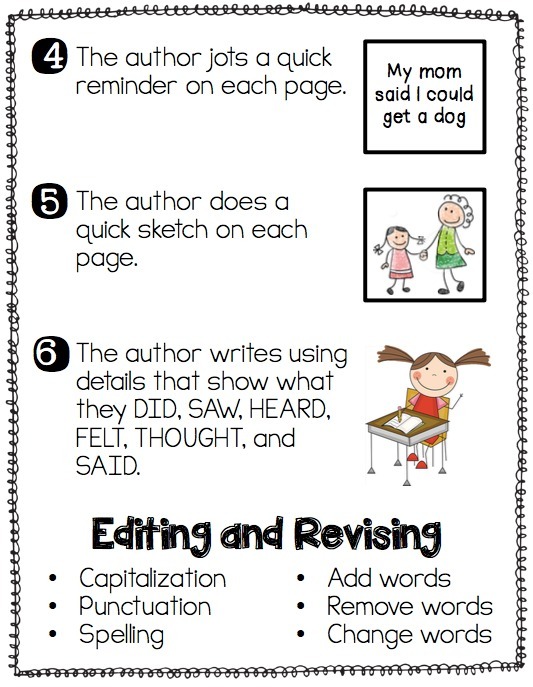 Then, we will work on using transitions, staying on topic, and engaging the reader. Essays are a form of expository writing. They are extended response pieces that are based on facts, and feelings. Opinion Writing-Use strong language, details, and reasons to write a powerful opinion piece. Poetry is the most emotionally charged means of written expression and it consists of words arranged in patterns of sound and imagery to spark an emotional, and intellectual, response from us. Poetry is the language of the imagination, of feelings, of emotional self-expression, of high art. Prose explains, but poetry sings. The language in poetry is musical, precise, memorable, and magical. Cannot: and what it is who knows? ﻿Characters﻿: who the story is about. Problem/Conflict: what happens in the story that needs to be fixed, or resolved? Solution: how does the problem, or conflict, get fixed? Plot: what are the main events of the story? Ways to Begin your Fairy Tale!